Brooklyn native, Doctor Jeep, aka Andre Lira is and has been, one of the most exciting and consistent producers to come up through the ranks of the underground bass music scene, to become one of the most influential and innovative artists to emerge in many years. His discography impressively spans many respected labels and many different flavors. He eschews genre tags for substance, fusing familiar elements of grime, dubstep, house, and just about every imaginable in-between you could think of. His sound is distinctly his own, and unsurprisingly has found it’s way into many taste-maker’s sets, squarely placing him at the forefront of the new movement in bass music, that embraces past and present simultaneously and is unafraid to experiment with different tempos and sound palettes. Ultimately creating a unique, but cohesive, hybrid sound. 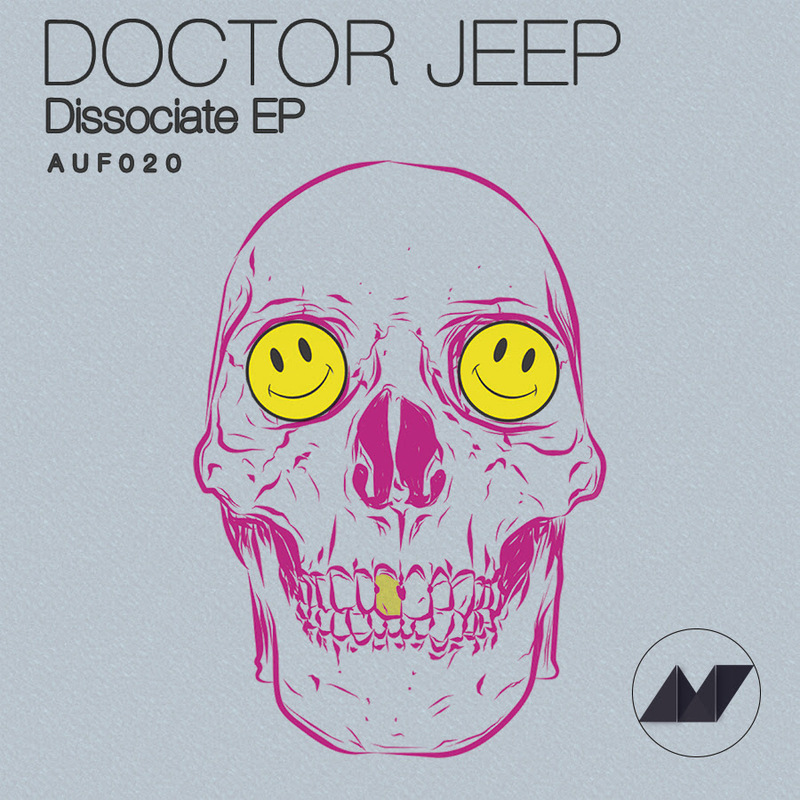 This EP sees Jeep dabble in a slightly higher (or perhaps lower depending on your math) bpm-range than what most people may be expecting. It leads off with the title track, “Dissociate”, which brings to mind images of one separating from one’s consciousness through the song’s hypnotic rhythms and soundscapes. Slowly building into a menacing, shambling monster of a tune, the bass-line snarls with the catchy hook layered on top. The GREAZUS flip takes the main theme of the original and dives into footwork territory, experimenting with different rhythms in the sub-bass, giving it an energetic, but minimal sensation sure to please late-night crowds. TX, is next up, which lulls us into a false sense of ease, with a shimmering synth lead, then we are unexpectedly thrown into the Bear’s den when we hear the eerie vocal beckon. Bass-line madness and tight, steppy percussion ensue and give way to an infectious call & response hook that’s sure to get stuck in your head. Levrige take the reigns on remix duty of TX and give us a scorching jungle-laced stepper, that reminds us of the golden-era. Sweat-drenched, warehouse rave vibes, that tie-in the original concept, but distort the lens to fucked up perfection. Subcorr holds down anchor with his ReRemix, coming in at a cloying 120 bpm. A stepping, but broken house beat, meets a fat 808 sub and sly chords to create a cloak-and-dagger vibe, while the subtle, but meaningful breakbeat edits provide context. This EP has something for bass lovers of all stripes.